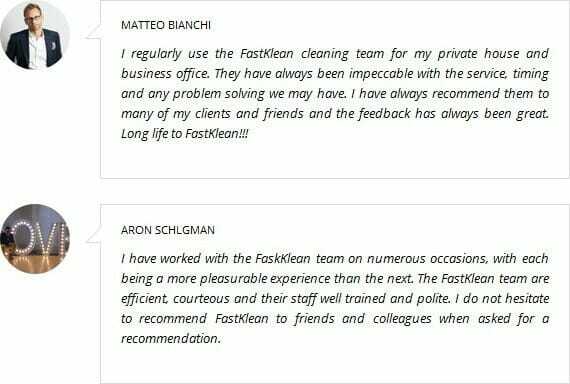 FastKlean is a well-established and professional cleaning company. We can proudly say that we are one of the best cleaning companies in London. FastKlean was founded by the director Antoaneta Tsocheva. Go to our about us page to learn more. We offer variety of cleaning services from regular domestic cleaning, carpet cleaning, end of tenancy cleaning, commercial cleaning and many more. Our professional cleaners are insured and qualified. The prices we offer are very competitive and affordable. You can contact our friendly team today for more information and a free estimate on 020 8884 9149.